Surf's up in Montauk. Photo by Kim Willen/Flickr. 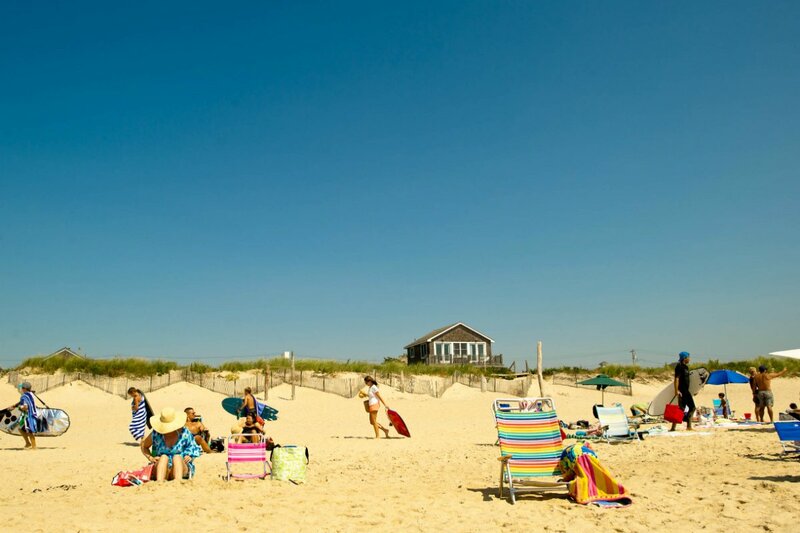 The scruffy surf haven-turned-family-friendly beach town on Long Island's East End has no shortage of delicious food, from throwback seafood shacks to beachfront fine-dining. For an authentic Montauk foodie experience, we asked Tyler Aposhian, the general manager of popular hotel and hotspot Ruschmeyers for his best local joints in town. MONTAUK — In May 2012, I moved to Montauk for the summer, trading my regular three-hour commute to and from work for a fifteen-minute bike ride. Six years later, I am pretty happy with my decision. That year, I began as an accountant at Ruschmeyers, a rustic hotel and restaurant in Montauk, and am currently the general manager. My responsibilities include a wide variety of tasks and privileges, and on any given day you can find me fixing a leaky pipe, processing payroll, ordering products, or reconciling accounts. While some responsibilities are innately more fun than others, I find myself trying to maximize my time with hotel guests. We host wonderful people from around the world, and the opportunity to meet them and take care of them is an unbelievable privilege. Montauk reminds me of my small hometown north of San Diego, and the sunlit mornings are the very definition of peaceful. A cup of coffee and five minutes on one of the sun-drenched picnic tables in our garden is just about all I need in life. My days off are usually spent running around Fort Pond, taking a book to Kirk's Beach, or biking out to the Lighthouse — just to say hello. Besides the tranquil landscapes and the sublime food and beverage scene, one doesn't do Montauk justice without mentioning its people. Montauk isn't just a vacation destination: It's also home to a vibrant community of fisherman, surfers, builders, business owners, and town employees. Montauk would be a fraction of itself if it weren't for the wonderful people who live here. A charming, rustic entrance to Ruschmeyers. Photo courtesy of Ruschmeyers. This public beach is the perfect place to take a book and a towel. Make it out here in the fall if you can — September is my favorite month. This hotel and seafood restaurant is the spot for watching sunsets all summer long. An inn and restaurant right on the beach. A negroni and a stroll down to the water never hurt anyone. Cap off dinner at the Crow's Nest with a stroll along the beach. Photo courtesy of the Crow's Nest. A Montauk staple. There's a line out the door if you go at peak time, but you can get Joni's organic sandwiches, salads, and juices all day long. A year-round institution. Most locals would starve without the fish tacos. The Naturally Good salad with tuna is another fan favorite. Get the #3 and add turkey, mustard, mayo, and peppers (if that's your thing). The sandwich also does well in hero form. This boutique hotel has an outdoor bar and grill that's a pleasant change from the beach, especially if the sun is out. Getting a proper beverage is a requirement. Wash down Mediterranean crudite with a refreshing cocktail at Montauk Beach House. Photo by Chris Forster for Montauk Beach House. There are over 20 different varieties of homemade ice cream. 'Nuff said. The Montauk purveyor of fresh seafood. Excellent views of the inlet. Half of Montauk will walk by you if you sit here long enough. The tuna melt here might possess magical powers. Add fries and a beer to round out a night of great food and great service. Nothing rivals spending the night under the paper lanterns in Ruschmeyers' magical garden. Don't sleep on the clam pizza and the Ruschmeyers cocktail — fresh watermelon, vodka, jalapeño, and mint. Tyler is the General Manager of Ruschmeyers hotel and restaurant in Montauk, NY. You can follow them on Instagram at . He travels to experience different cultures, meet people, and see the world.